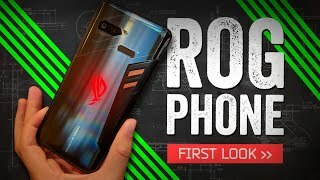 After the success of the Razer Phone, multiple smartphone makers are currently working on a gaming phone and Asus has already announced their phone, the Asus ROG Phone. 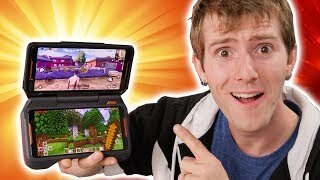 Asus usually release their gaming laptops under the Republic of Gamers title and this will be the first gaming phone under this name. 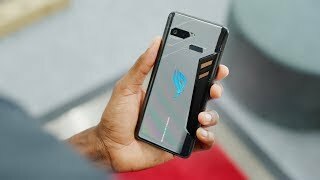 To find out what this gaming phone has in store for us and the Asus ROG Phone Nigeria price, continue reading. One of the things we loved about the Razer Phone was it’s big and fluid display with 120Hz refresh rate. While the Asus ROG Phone offers a slower 90Hz refresh rate, we do get 1ms pixel response time and a big 6-inch AMOLED screen showing 2160 x 1080 pixel resolution and 402ppi of pixel density. This display is however not a near beze-less one with notch as the screen to body ratio indicates: 76.9 percent. It’s easy to identify this phone from a distance thanks to it’s ‘unique’ design that includes AirTrigger ultrasonic buttons. There is also an advanced haptic engine to make sure users get to enjoy more detailed force feedback when playing games. To make sure users can charge the phone or use it with different accessories while playing a game, the USB Type-C port is placed on the right side of the phone. Although the Asus ROG Phone is not the only one in the market packing the Qualcomm SDM845 Snapdragon 845 processor, this one clocks up to 2.96GHz and is about 200MHz higher than the stock ones. This processor comes with Adreno 630 graphics and 8GB of RAM which should be enough to run all the existing Android games smoothly. There are two storage options to choose from: 128GB and 512GB. Users have to choose the right one here according to their need as there is no microSD card slot that can be used for expanding this storage. For those of you who are not interested to wait for the Asus ROG Phone release date Nigeria, there is the Samsung Galaxy S9 Plus and iPhone X you can check out. People were not really a fan of the Razer Phone’s camera but things are looking slightly better for the Asus ROG Phone. On the back, there will be one 12-megapixel camera and an 8-megapixel camera with LED flash and phase detection autofocus. It will be capable of capturing 2160p videos at 30fps. As for the front camera, it will be an 8-megapixel one. The phone is powered by a big 4000mAh Li-Ion non-removable battery with Quick Charge 4+ so it should be enough for gamers for intense gaming sessions. Other notable features include: 10-point multi-touch support, ambient light sensor, Custom USB-C support, dual front facing speakers and DTX Headphone:X. 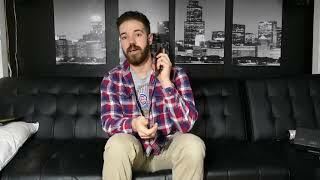 You can also check out the OnePlus 6 and OnePlus 5T if you are in the market for something good but cheaper. 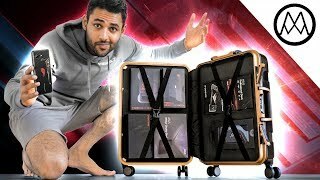 These are really not expensive compared to the Asus ROG Phone Nigeria price. There will be multiple accessories available for this gaming phone but users will have to purchase those docks and other accessories separately. Asus didn’t reveal the price of the Asus ROG Phone during their announcement, but it’s expected to be around ₦ 283300 if not more. 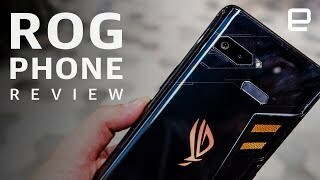 The Asus ROG Phone release date is expected in the third quarter of 2018. 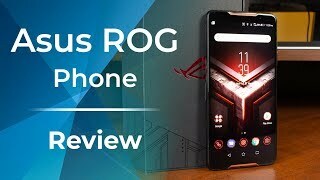 The rog phone Mobile Phone is manufactured by Asus and was added around June 2018 and is part of the Asus ROG Phone series.